Create smiles at bath time, with this colorful Kids Bath Sponge. The super-soft microfiber cloth gently yet thoroughly cleanses children’s delicate skin, and the elastic strap helps them (or you) stick with the job. Plus everyone will love the fun, bright colors! Perfect for children of all ages! Sometimes simply getting your children to take a bath can feel like a challenge. And once they’re in the tub, it seems like they would rather splash around than let you come near them with a wash cloth. The struggle is real. themselves clean, and if necessary you can follow up wherever they miss. Bright and fun, it coordinates with our Kids Towels and work great with our 4-in-1 Kids Wash for all-over cleansing! Create smiles at bath time, with this colorful Kids Bath Sponge. The super-soft microfiber cloth gently yet thoroughly cleanses children’s delicate skin, and the elastic strap helps them (or you) stick with the job. Plus everyone will love the fun, bright colors! Perfect for children of all ages! • Use with 4-in-1 Kids Wash and water to gently cleanse children’s skin and hair. • Always rinse well and wring out excess water between uses. • Not to be used as a toy. • Rinse slightly dirty Kids Bath Sponge under warm, running water. Squeeze out excess water, hang to dry or lay flat to dry. 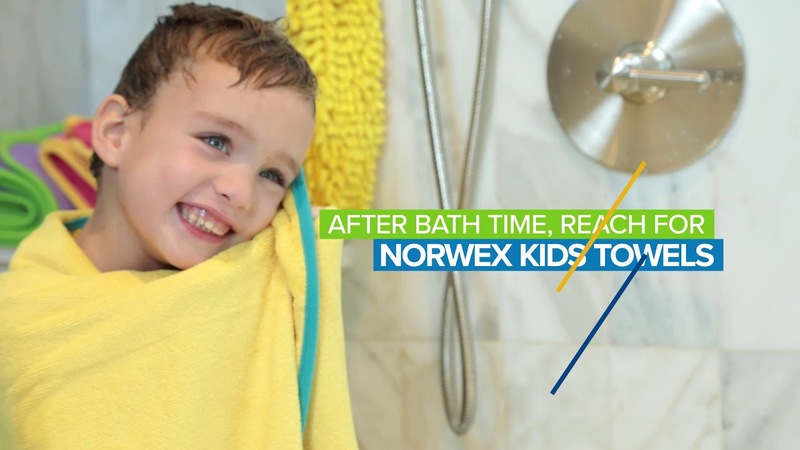 • Kids Bath Sponges that have been used heavily should be laundered with other lint-free laundry using a Norwex laundry detergent, which contains no fillers. • Tightly woven microfiber lifts away dirt and holds it in the fabric. 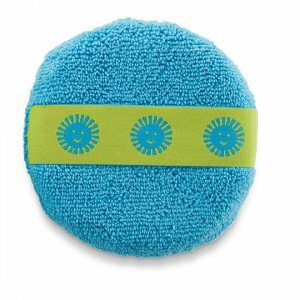 • Fun colors, round shape and elastic band make bath time easy. • Cute elastic strap can be flipped to either side, making it easy to use both sides of the sponge. • The BacLock* in the cloth—our micro silver antibacterial agent—goes to work to self-purify and inhibit odors from bacteria, mold and mildew growth within 24 hours so that it is ready to use again. • Personal hygiene isn’t only about presenting a good appearance. It’s also a proactive way to help prevent the spread of harmful germs. mildew growth within the product.